The Sun’s transits to planets and points in the natal chart are relatively brief influences, lasting approximately a day. 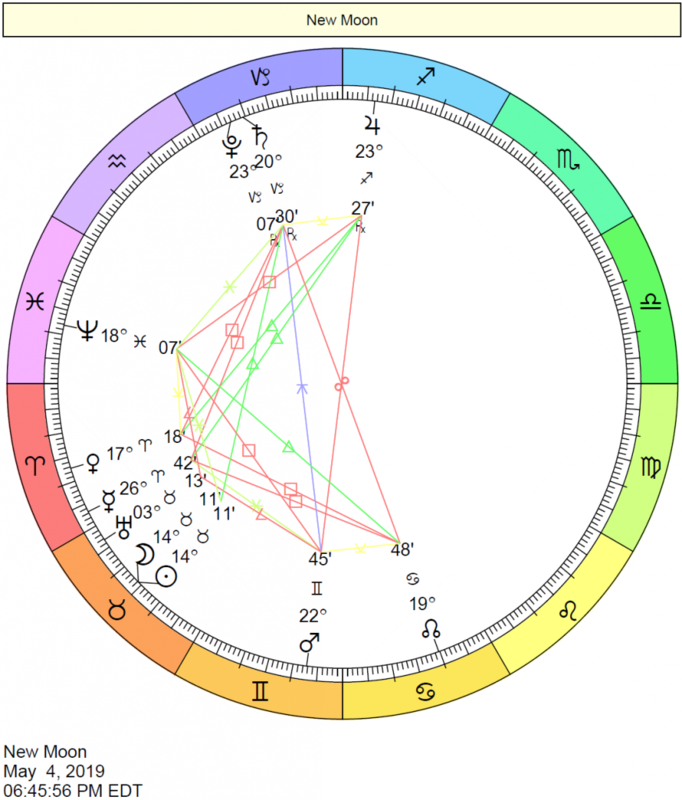 The Sun acts to spotlight and illuminate the issues and conditions surrounding a natal planet or point. You can benefit now from a more confident manner and increased certainty about your goals in life. You take special pride in your family, children, roots, and home during this period. You are slightly more emotionally excitable. A new cycle that lasts approximately four weeks begins today–so do your best to focus on self-improvement. New attachments or projects may be formed now. The only cautions are to try to avoid making decisions that are based on your emotions of the moment, and to avoid taking everything too personally. You are currently able to handle opportunities well by focusing your energy on constructive activities and goals. This is a time of conscious striving–knowing what you want and working towards getting it. Your vitality gets a little boost and your recuperative powers are better than normal. Relations with others tend to flow smoothly now. At the root of improved relationships are your inner confidence, contentment, and balance. This is a brief period in which emotional frustrations or setbacks are more like to occur. Relationship problems that arise now likely have their roots in emotional unrest and some confusion between what you want to do and what you think you should do. You are more excitable than usual, and less inclined to make rational, thought-out decisions. Whims could take hold. If you are having problems on the domestic front, they are magnified now. Do your best not to force changes in your life. Circumstances and others tend to be less supportive than usual, and you might find you have to push yourself harder to achieve the same results you would on other days of the month. This is not an ideal time for new enterprises or undertakings. Inner restlessness may take you out of your typical routine. You are more inclined to become “stressed out” now and more inclined to catch a cold or to feel slightly under the weather. Relationships with others may be strained for the time being. This is a good time to uncover issues of emotional unrest that have been bubbling under the surface, and to take steps to take better care of your emotional needs. This is a time when you handle opportunities that come your way very well. Achievement is smooth. Recuperative powers are increased. Positive new connections may be made now. The possibility of some form of recognition or validation for what you do may come during this brief but effective period. Favorable trends in your domestic or professional affairs may be noticeable. A positive frame of mind does wonders now. Familiarity and comfort are dominant motivators for you during this period. It’s a good time to mend relationship problems and to surround yourself with people. You take things more personally now, and issues that have been stewing beneath the surface reveal themselves now. This is a period when you are more inclined to be immature or childish if you have not been managing or acknowledging your emotions in a healthy manner to date. On the negative side, your relationships with others could be strained. You could be feeling less vigorous than usual or more stressed. You might find that you attract challenging situations simply because you are overreacting emotionally. Managed well, this can be a time in which you arrive at increased self-understanding of your innermost needs and wants. Others could be mirroring parts of you that you have been denying. Do what you can to avoid making entirely emotionally-driven decisions. It’s time to celebrate as a new solar cycle begins. Pay close attention to your overall mood as well as to any insights you have now. Concentrate on what you want from your life, and where you want your life to head. How you handle today impacts the kind of year you have ahead of you. This is the actual date and time of your Solar Return. You may wish to do something special at this hour, such as a meditation ritual. The steps you take today determine your path for the next year. This is the beginning of a new year for you, and you feel charged with new energy, vitality, and sense of purpose. Make this day an excellent one, as the energies you feel today can be somewhat of a “stamp” for the year ahead. This is a good period for dealing with others in general, but particularly on professional levels or with those in charge. Self-expression flows smoothly without social faux-pas or hiccups. Increased vitality and self-confidence come from a sense of peace on both body and spirit levels. You might find you have to push a little harder during this transit than you normally would. Obstacles in your path tend to arrive now, although you are capable of turning them into positive energy. Challenges you face now are actually quite revealing if you look at them as learning experiences. This is a period when ego-gratifying circumstances are highlighted. You receive some sort of boost to your ego and confidence, perhaps through some form of recognition, however big or small. You are likely to feel energetically supported by others and by life’s circumstances. Battles of will could occur now. Don’t stress or strain–pushing your agenda on others is unlikely to do anything except cause friction. This is a time of the year when you are more likely to catch a cold or to feel under the weather, unappreciated, and generally ill at ease. Tensions with others can come from a lack of self-confidence or a sudden awareness of unfulfilled wishes and goals. You are unlikely to feel on top of your game now, so don’t push matters. Instead, take time for rest and relaxation. Review your goals and revise them if need be. You are especially sharp, communicative, and open at this time, as your wants are aligned with your thoughts. You tend to think and act automatically, and you could come across as an “open book” now, even if your nature is not especially forthright. It’s a favorable time for solving problems. For the most part, you are on the ball. Circumstances are such that you need to adapt, adjust, communicate, or travel. Transportation and movement, in general, are issues now. Because it’s easy to rationalize your behavior, it’s a favorable time to work on improving your skills. You tend to say what you think now. Keep in mind that what you say or write now has impact, for better or for worse! As well, others could find you self-absorbed for the time being. It would be wise to take the time to listen to what others have to say. During this transit, you find it easier than usual to rationalize your own behavior and that of others. It’s an excellent period for improving your skills and for opening up discussions on topics that you normally might sidestep. Dealing with details may be necessary now, but also quite easy to do. Intellectually, you are sharp and generally on the ball. It’s an excellent time for taking tests or presenting your ideas. Your opinions and thought processes are generally well-received and appreciated now. Circumstances are such that you need to adapt and adjust, deal with nagging details, and/or run a number of errands. You may have a hard time concentrating on any one subject. Either you are easily distracted or a whole slew of information and demands are thrown upon you at once. Nervous tension is a potential by-product. It may be challenging to get in touch with what you truly want to do as you tend to live in your brain rather than your heart for the time being. You can translate your thoughts into actions readily now–decisiveness helps you to say what you think and think what you say. Improving your skills also comes naturally and easily. Taking tests, making plans, presenting your work or ideas, and communications of all kinds are favored. Others tend to value your opinions and ideas under the influence of this transit. It’s a favorable period for business transactions, launching a mental pursuit or communications project, or going on a short trip. This could be a time of nervous tension due to overactive or upset schedules. As well, you could feel slighted as a result of others misunderstanding what you communicate or get offended over a difference of opinion. You may experience anxiety or worry over mundane affairs. It’s best not to schedule tests or presentations now, as you can easily overlook important facts or find that you are easily distracted. Try to avoid a tendency to look at matters with a negative perspective–it doesn’t help! New ideas or projects initiated now may not come to fruition. A change of mind down the road is likely. Take care in your personal and professional communications–you can too easily misrepresent yourself with what you say or write now. This transit stimulates your love nature. This is a good day for expressing yourself creatively through relationships or other pursuits. You want to be the center of attention right now, and you are feeling more vulnerable to how others receive you, so you may pay special attention to your charm and appearance or mannerisms. You might make some social contacts that benefit your career or life direction. Women could figure prominently in your life during this period, and relationships with females are generally smooth and pleasing. 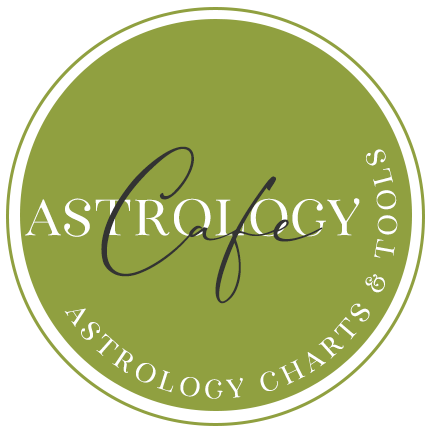 “All things Venus” are brought to your attention–romantic feelings, material wants, and pleasurable activities, to name a few. Watch out for over-spending, as you may feel a greater than average need to please or pamper yourself. As long as it is done in moderation, enjoy this focus on yourself and your wants! Some social networking is likely to occur now. Pleasurable activities are emphasized, and relationships with others tend to be gratifying and agreeable. It’s an excellent period for negotiations and smoothing over of differences. 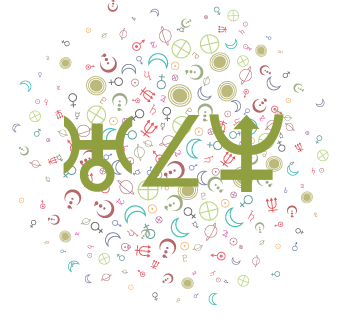 Although there are better transits for personal magnetism than this one, you do tend to easily attract positive attention and circumstances now. Financial matters are generally favored. You might be particularly irritated by others’ behavior now, but consider that problems encountered now could be a reflection of your own inner discontent. Do your best to control yearnings for more than what you have, and search for a creative solution for your inner dissatisfaction. Disagreements that may crop up now tend to be about differences in principles or matters of personal style. This is a pleasing influence for harmonious contact with others and for prosperity in general. Expressing yourself creatively through relationships or other pleasurable pursuits is favored now. Your personal charm is natural and well-received now, making this a good time to be amongst people. Ego reactions to feeling underappreciated are quite possible now. This is not the best time for ego stroking on social and romantic levels. You may not appreciate how others are handling your just now. Pushing it won’t solve any problems. In fact, lonely or frustrated feelings that might arise now are likely a reflection of your own inner discontent. Getting in touch with what is making you feel down could help you to solve problems now. This is not the best time to ask for what you want. This is one of your most courageous and animated periods of the year. How you handle the energy at your disposal is the key to the kinds of outcomes you’ll experience. You’re not going to wait for anyone now. This transit rids you of inhibitions, at least for the time being. This is a time of much enthusiasm. Acting on things you have only entertained on a mental level is probable. With the Sun placing its spotlight on Mars–the planet that rules anger, assertion, sexuality, and competitiveness–you can learn much about your desire nature and how you handle anger. If you find yourself lashing out at others, arguing, or unreasonably stressed out, then you know you haven’t been managing your desire nature well. Use the blast of energy constructively by tackling projects that require a lot of drive and physical stamina. Even things like heavy housework, gardening, or a trip to the gym will do you well. You are able to creatively solve problems and to instinctively take action when necessary under the influence of this transit. Stress is eased as you feel confident about your abilities and your judgment. You are more able to assert yourself without rubbing people the wrong way just now. You might find that you stand up for yourself or your principles. You are progress-oriented, and your more passionate nature comes to the fore. It’s time to take the initiative, to apply your confidence and energy to something constructive. This is a period in which you are living spiritedly, indulging your desires without going overboard, and acting spontaneously. You are bound to feel energetically supported by the circumstances of your life and by the people around you now. You have “spring fever” now, no matter what the season! You could find yourself driven by a restless desire to do something; but without a well-defined goal, you tend towards impulsive actions and get yourself into needless arguments. Circumstances spur you into action. Your more passionate nature comes to the fore. You could be a little too eager to impress others with an aggressive or inappropriate stance, or you may find yourself competing with others in unhealthy ways. You can easily rub people the wrong way and instigate conflicts. As long as you channel this excess energy constructively, instead of wasting your time arguing, you can accomplish much. If this transit plays out as bursts of anger and frustration, instead of decisive action, then you know you are not handling your desire nature efficiently and you should make necessary changes. You are living life with spirit just now, and your energy and vitality are strong. The natural confidence that you exude during this transit doesn’t come across as offensive. In fact, your enthusiasm is well-received. It’s a good time to take the initiative and to act on things that you’ve only been thinking about doing. You are drawn to physical activity, and if you are involved in a competitive event, you are more likely than usual to come out a winner. Effective decision-making is possible now. This transit whets your sexual appetite, increases spontaneity and courage, and helps you to let go of some of your inhibitions. Careless or impulsive behavior can be a problem under this transit. You could find yourself feeling thwarted, frustrated, or restless. This is likely due to the fact that you are not in touch with what it is you really want at this time. If you do know what you want, how to go about getting it doesn’t come naturally to you right now. A tendency to fly off the handle characterizes this transit, due to inner tension between your will and performance. It’s hard to find satisfaction or a sense of peace at this time. You may feel decidedly “out of sorts”. Conflicts with superiors could arise now, but are unlikely to yield desired results. Watch also for hasty actions that could result in minor injury or stress. Vitality increases now as your confidence in your effectiveness builds. You feel more generous, optimistic, and sociable under this influence. You might hunger for increased recognition and respect, and, with your generous attitude and concern for others’ well-being, you might just get them! This is a good time to take steps to grow something–your business, your significant relationships, and so forth. This transit also favors legal, educational, religious, and cultural endeavors. You seek a larger range of experience. Your actions are benevolent, your attitude is enthusiastic, and your style is dramatic. This transit suggests you now have a stronger sense of who you are and the principles you represent. The realization of a long-term goal may come now. You may gain honor or distinction in some way. This is an excellent time to begin a self-improvement program. This is not an especially sexual energy–you are more inclined to philosophize and seek out bigger and better experiences. You may be particularly generous, and perhaps indiscriminately so. This transit represents hopefulness, good will, and increased influence. It’s favorable for marketing, publishing, and advertising, as well as any self-promotion activities. You may be especially sociable, tolerant, and generous. Confidence comes from a stronger sense of who you are and the principles you represent. Some form of recognition or distinction is possible now. Your goal now is to improve–to seek out the “bigger and better”. People in high places can be generous to your cause, and you could receive gifts or rewards. You may feel vague restlessness and discontent with life as it is. You want more than what mundane existence offers, but perhaps too much. Overestimation and exaggeration are possibilities, either in your own attitude or in the circumstances and people you attract now. Your mood may be elevated, but somewhat unstable as the source of your enthusiasm may not be based on reality. Take care that you don’t throw practical considerations out the window. Avoid promising more than you can deliver, as you are unlikely to be able to follow through on your promises. Arrogant, boastful, wasteful, or extravagant behavior could figure now. Channeled well, however, this energy can represent creative power. This influence represents growth and expansiveness. You are more aware of moral issues, and have a desire to improve and learn. Optimism and confidence are basic elements in the energy of this transit. You are more willing to take a risk or two, and you are motivated by a desire to impress others. Enthusiasm runs high, and cooperation comes easily. 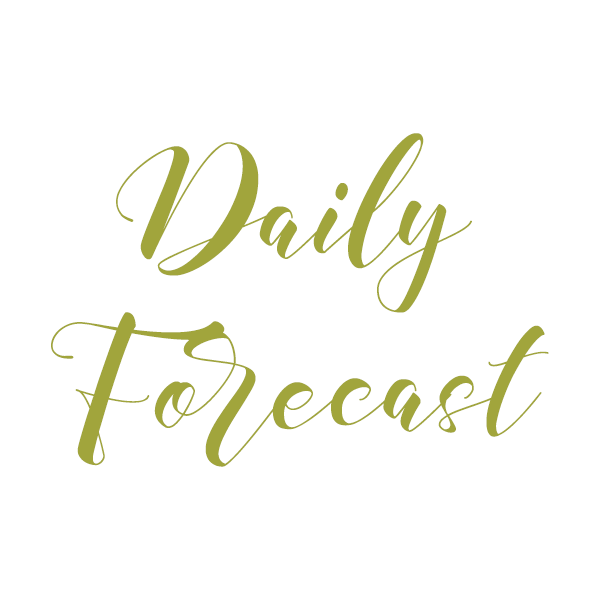 This is generally a good time to schedule new beginnings in business, education, personal relationships, marriage, creative projects, and so forth, all things equal. Sincerity and honesty works best for you now. This could be a period in which you realize a long-term goal. Your enthusiasm is boundless, and you are inclined to take the high road in your dealings with others. Health and vitality are strong. An opportunity to take a trip or to embark on an adventure, however big or small, could arise now. Conflicting urges with regards to what you think you should do and what you want to do can be frustrating now. There can be a tendency to go overboard and to indulge in extravagances. Watch that you don’t overestimate your capabilities now. The desire to experience something new, or the desire for more freedom to explore new possibilities, can amount to restlessness if you don’t know what it is you want. Over-optimism can lead to losses or waste. Avoid boasting and indiscriminate generosity. The desire for something “bigger and better” could take hold now, but avoid throwing practical considerations out the window in your pursuit. This is a time when you are called upon to “get real”. You feel the constraints of time and you are motivated by the desire to manifest tangible results. It’s “nose to the grindstone” time. You may feel overworked; alternatively, you might welcome some discipline into your life. Avoid launching new projects, particularly financial ones, for the time being, as progress may be slow. Instead, work on a new plan for creating order in your life, or on an old project that requires a new commitment. Serious matters may grab your attention now, or circumstances are such that you are required to show your more competent and responsible side. Self-restraint is characteristic of this influence. You may crave more privacy and solitude now, and you could easily resent others’ interference. If handled poorly, you could be downright cranky! This is not your most attractive time of the year, so you might want to avoid scheduling self-promotion or personally important events during this period. Emotional energy is not enough to fuel you for the time being; thus you could feel sapped on a physical level. However, making new commitments to old goals, shouldering responsibilities, and making careful use of your resources could feed your need for structure and order in your life. This is perhaps an unglamorous time, but one in which you feel grounded and stable. It’s easy to stick to a specific task and make headway. Productivity may be slow, but it’s steady. The ambitious side of your personality comes to the fore. You are happily self-reliant now, rather than grudgingly so. You may find yourself in a position of responsibility. Contact with older, mature, or more experienced people could be significant now. This could mark the start of a big, long-lasting project. Your outlook is serious and realistic. It’s hard to satisfy your ego today. You could feel blocked by circumstances or by others. It’s too easy to feel discouraged, but remember that discouragement is a major time waster, unless it motivates you to get back on your feet. Gratitude isn’t forthcoming right now, so it’s best to wait it out rather than waste energy letting it get to you. Sacrifices may be necessary now. You might have to face failures or inadequacies. As you face obstacles to your goals, you begin to see the tools you have to overcome them. A heavy dose of realism seems forced upon you during this influence, but your efforts to measure up to expectations can ultimately increase your confidence in your ability to be responsible for yourself. This influence is a somber one. You feel grounded and stable right now. It’s easy to stick to a specific task and make headway. Productivity may be slow, but it’s steady. You have common sense at your disposal. You are willing to look reality in the eye and to take responsibility for your life. Practical, professional, and business matters come to the fore. Your respect for authority is natural and helps superiors to look upon you favorably. This could be a good time to make a lasting investment if concurrent influences are favorable. Your confidence may be undermined by feelings of doubt, pessimism, or feelings of guilt just now. Encountering obstacles to progress and inhibitions in your own attitude are prominent under this influence. You could be plagued by a feeling of not being good enough. Lack of faith in yourself, in others, and in life itself could put a damper on your initiatives. This is a time when others don’t seem to notice your efforts, when progress appears to be minimal if at all, when nobody seems to extend their hand to you, when you need to go it alone and you could feel resentful for it! Life doesn’t seem to be playing in your style. Because this is one of your less attractive and magnetic periods of the year, you might want to avoid scheduling personally significant activities, job interviews, or self-promotion efforts during this period. Although there is a positive side to every aspect, while it’s happening, this one doesn’t feel very good. A heavy dose of realism seems forced upon you now, but your efforts to measure up to expectations can ultimately increase your confidence in your ability to be responsible for yourself. This influence is a somber one. A new personal cycle of independence, progressiveness, and change begins. You are more inclined to accept and appreciate all that is new, unusual, and avant garde. You have an opportunity to shine for what makes you unique. This transit gives a green light for matters concerning the media, computers, and metaphysical subjects. Restlessness and a need for change is indicated. You simply won’t stand for restrictions now! Your ego is awakened and you seek new ways to express yourself, as this is a time of self-discovery. There is a need to be creative and unique in your expression of self. This is usually a time to join with groups and/or to become a group leader. It’s also an easy time to make new friends. Sudden, unexpected events can happen out of the blue. You might find yourself thrust into new–perhaps thrilling–experiences. This can be a time when others notice a sparkle in your eye and find you endearingly clever and witty. There’s a noticeable sparkle in your eye now, and others seem to appreciate your quirks and idiosyncrasies. Perhaps it’s your willingness to adapt to new circumstances, ideas, and unfamiliar situations that gets you just the right attention. You are seeking out color for your life now, and you simply won’t stand for anything routine, stereotyped, or commonplace. It’s a good time to join organizations and groups and to attend meetings or social events. You can find creative solutions to problems now. Flexibility is the key to success under this influence. You can’t expect much of anything when the transiting Sun squares Uranus, except for the unexpected! Disrupted routines and plans figure now, which help to stimulate the adoption of new approaches. You feel the need for action, but if you don’t know where you’re headed, you might take the wrong turn. Unexpected changes in plans or events can test your patience, and you might feel a bit out of control. However, they could stimulate you to try new approaches and they certainly act to cut boredom. This transit could offer you the drive to do something new, but avoid making hasty, major decisions for the time being. An original, unique approach to life is in order with this transit, and works to your benefit. Flexibility is the key to success at this time, and pleasant changes are in store. You could make some creative changes and discoveries, experiment with new possibilities, or invent a new way of doing things. This is a dynamic and exciting period, one in which taking advantage of unusual or unconventional opportunities may reap rewards. Whether it’s doing something entirely new or an adventure in self-discovery, this transit stimulates fresh and lively energy in your life. The urge for personal freedom and self-expression is paramount now, and you refuse to conform. This can get you into hot water with others. Your wants are somewhat unstable and changeable, however, and you can send off some real mixed signals. Sudden changes of plans can happen now, and you might react impatiently. You can also choose to view changes in your routine as beneficial and exciting — the choice is yours. 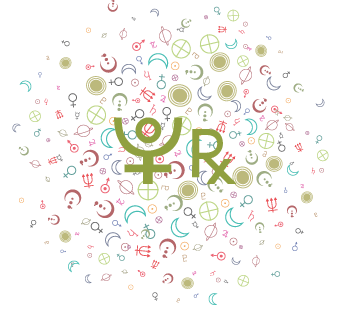 You are extremely sensitive to the moods and undercurrents around you during this transit. You make judgments intuitively and instinctually. You may have a hard time defining your actions and your goals, perhaps temporarily losing sight of reality and reason. This is a time of flexible morals, increased spiritual awareness, imagination, and inspiration. Negative expressions of this influence include vague worries, confusion, escapism, deceptive or victim-savior behaviors, or the tendency to fictionalize your life. If you find yourself being misled by others or by circumstances now, you might consider that you are attracting these situations because of a desire for a more glamorous life. You’re at the right place at the right time, probably because your hunches are more likely to be correct and you are “tuned in”. You might find yourself inspired during this transit, and charitable acts now will serve to lift your spirits like no drug can. This is a good time for self-improvement programs or efforts. Instinctual judgment is enhanced under this influence. Pay attention to the dreams and insights that come into your life now. This may be a discouraging day when things don’t quite seem to go your way, or when you feel a bit drained. Take a break and don’t start any serious new project today. Minor disappointments or just plain fatigue might hit you like a ton of bricks today. Lay low for more energizing times to come. Don’t ask for anything, such as help, as it is unlikely to be forthcoming. Instead, find time to help someone. It could lift your spirits, and you won’t fall into the easy tendency to feel sorry for yourself that this aspect often brings. Concentrating on artistic or spiritual pursuits is better than focusing on things that require straightforward, factual thinking today. It can be difficult knowing where or how to direct your willpower under this influence. It’s also a challenge knowing where you stand with others. Avoid such things as scheduling surgery, important appointments, job interviews, or launches of new projects at this time. You’re at the right place at the right time–very cool. This is probably because your hunches are more likely to be correct and you are “tuned in” to energy levels beyond the mundane. You may be feeling inspired, and charitable acts now will serve to lift your spirits like no drug can. This is a good time for self-improvement programs or efforts. Instinctual judgment is enhanced under this influence. You might solve a mystery or find that you’re rewarded for a past deed now. It’s easy to get lost in fantasy at this time, as you feel somewhat without direction and less able to face everyday realities. Your willpower is low as you tend to stray from your goals and temporarily lose focus. It’s difficult to formulate–or stick to–clear goals during this transit. Attracting unusual, confusing, or even disturbing situations is likely due to an inner need for more glamour in your life. Misconceptions abound. This is not a good time for any financial undertaking or formal agreement, so plan accordingly. You are strong-willed and focused under this influence. The need to gain more control over your life motivates you to greater heights. You benefit most now from strategy and perhaps keeping things to yourself for the time being–you don’t have to reveal all that’s on your mind. You are in the position to gain some personal power–keep your eye out for opportunities, and do look beyond appearances. Some people find lost items or uncover resources–material or otherwise–under the influence of this transit. A “Eureka” can occur now. Self-discovery is the name of the game. Research brings rewards now. You benefit now from strategy and keeping things to yourself for the time being–you don’t have to reveal your sources. Opportunities to find or renew something you had lost, and to gain some power are available now. You have the energy and drive to accomplish things today. This is a good influence for shared resources, taxes, insurance, new business, and accounting. A tendency to want to control your life through some form of manipulation is strong during this influence, but is best avoided for good results. Meeting with obstacles in your path, however, can force you into the position of using all of your resources to fight back, and you can discover resources you never knew you had in the process. Insubordination and abuse of power may be part of the picture now. The need to make changes in your life that will further your psychological development arise. Impatience with rules and compulsiveness are shadow energies of this transit. The urge to get to the bottom of matters is with you, but you could be too insistent. Avoid beating a dead horse and attempting to force matters that should naturally take time to unfold. A little goes a long way now. You are able to get to the bottom of things. You are more decisive than usual, and your ability to concentrate and focus help you achieve what you set out to do. This is a very positive aspect for starting a money-making endeavor or a new project (all things equal). You stand to gain some personal power or influence. You might uncover information or material items that help further your goals. 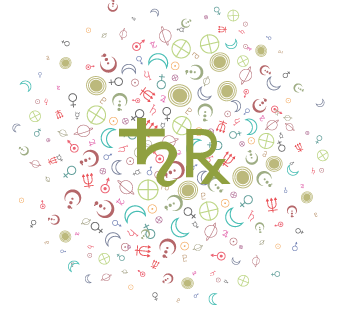 The Sun in dynamic aspect to Pluto suggests willfulness and dealing with issues of power and competition. You may feel on edge, volatile, or even threatened. In extreme cases, infantile rage is possible. There is an inner drama taking place now, and a feeling that external circumstances are undermining your own feeling of powerfulness. In the process, you may be able to get in touch with your internal motivations. A tendency to want to control your life through some form of manipulation is strong during this influence, but should be avoided for best results. Meeting with obstacles in your path, however, can force you into the position of using all of your resources to fight back, and you can discover resources you never knew you had in the process. This is a time when you may connect with others who share a common interest. This transit sometimes suggests making new contact with a male or with an authority figure. You are forward-looking and situations arise that make you hungry for growth and direction. Contacts with others are easy and natural now. Others cooperate with you, and circumstances are such that you have a feeling of growth and direction. You may be in a position in which you need to cooperate with others but feel uneasy doing so. Circumstances are such that you feel awkward about changes that seem thrust upon you. A connection with someone from your past could be made today. Situations arise that make you more aware of old patterns, habits, and attitudes. This yearly transit sometimes brings recognition for a personal achievement. Whether or not this occurs, you radiate strength and have increased personal presence now. Praise may be forthcoming. You possess strong presence and generally feel confident about who you are and how others are receiving you now. Others may praise you or recognize some of your better qualities today. Dealing with superiors is a breeze now, and you could win at a game or competition, if applicable. You should watch that you don’t come on too strong today and attract conflict with others. Feeling slighted, overlooked, or misunderstood could lead you to seek out attention now. However, the attention that you receive is unlikely to be very positive for the time being. You could have problems relating to superiors, and your vitality may be on the low side. *Expect significant encounters, meeting individuals who are or will be important players, at least for the moment. The focus is on relationship, balance, taking each person’s tastes, styles, needs, and personal agendas into account. There may be some friction and adjustments needed. It is your choice whether you want to compromise or go solo, but including the other makes for a fuller picture. A good day for practical ideas and planning about to your work or vocation. You may receive some recognition or special attention regarding to your particular skills and abilities. Making a difference in the world, furthering your personal aims and aspirations, or receiving public appreciation for your contribution is featured now. The focus is on personal integrity and honor, standing for something, being known for who you are. Whoever is your personal star or hero figures into all of this as well, because you need a guiding light and something to shoot for. Accept attention graciously. *A very good day for job-related events. You may shine in your particular job or find that promotion or practical insights come with ease. You could represent or speak for your company or communicate about your skills. This is a good time to get body, soul, and mind directed towards personal success and social accomplishment. Financial gains, professional advancement, and the attainment of some kind of increase in status are possible. *Perhaps a frustrating day regarding practical or job-related activities. You may find yourself going against authority or making some rather poor business decisions. Self-absorption and a lack of consideration for others can bring you into disfavor with superiors or other influential people during this brief influence. Financial losses, low prestige, loss of position, or professional frustration are possibilities. This is not a good time to seek favors from those in power. Wait for this to pass. *The force is with you, go for your personal best! Father figures or those in a position to help you further your aims are encouraging and receptive to what you propose. Back up your words with action, follow through with a solid effort, and expect success. This is an ideal time to express what you really want, to show some style, and let the world know who you are. *You could experience challenge or even downright opposition when it comes to matters of your job or practical skills. Someone may challenge or question your authority. You may find yourself oriented more to the family and home at this point. Relations with men, people in authority, or father figures are featured today. You may be thinking about past successes or failures and how those influence what you aim for now. There may be some friction between your will and someone else’s and a need to humble yourself in order for things to proceed. Seek win-win situations.